So this is the info a lot of you have been waiting for on Kris Allen in Kuala Lumpur. Here is the media release by Star World. KRIS ALLEN COMES TO KL! American Idol fans in Malaysia, brace yourselves! 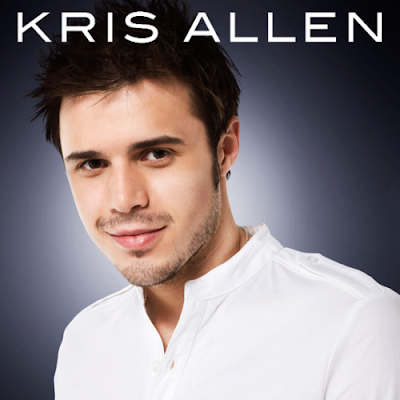 American Idol reigning winner and chartbuster, Kris Allen, arrives at our shores this coming Monday, 8 February, thanks to STAR WORLD, home of the of American Idol in Asia. Kris Allen will be the first American Idol winner to visit Kuala Lumpur in association with ASTRO, Hitz.FM and The Gardens Mall & Mid Valley Megamall and during his ‘Kris Allen Live in KL’, showcase, fans will finally get to witness the touching performances and soulful hits of this huge talent, live! Fans across the world first discovered Kris Allen on American Idol and have since followed him on an awesome journey leading to the release a self-titled album and hit song ‘Live Like We’re Dying’. The world has fallen in love with this piano-tinkling, guitar-rocking hero. If your knees go weak at ‘Heartless’, imagine the sensation of being up close and personal with Kris, who will be available for an Autograph Session at 6pm at the Centre Court, Ground Floor, Mid Valley Megamall Kuala Lumpur. What’s an event without a Kris Allen performance? Check him out at an exclusive, by-invitation-only showcase at 8pm held at The Gardens Ballroom of The Gardens Hotel. Then, knocking down the boundaries, lucky contest winners will get to meet our superstar in person in a meet and greet session at 10pm. Dying to be one of the lucky few? Hurry to win exclusive showcase and meet & greet passes by participating in the online contest atwww.astro.com.my/astrolife or radio contest by Hitz.FM, the Official Radio Partner, today! Live like You’re Dying! Grab the chance to experience Kris Allen in KL! To discover more talent, watch the latest installment of American Idol Season 9, aired first on STAR WORLD (Astro Channel 711) every Wednesday and Thursday at 6pm (Live via Satellite) and 8pm (Primetime Encore); Thursday & Friday at 12am (Late-Night Encore), 7am, 1pm; Saturday & Sunday at 12pm, 8pm, 12am. Ok.. to all Kris Allen stalkers... I mean fans.. how do you get to see him live. Mark these details down. Mark Monday 8 February down in your calendar. So there you have it. Start getting MCs ready to ponteng for Monday and serbu Mid Valley. It is going to be awesome. PS - Still trying to get confirmation Adam Lambert is coming to Kuala Lumpur. Apparently the rumours are real and he MAY come - but things are in talks as far as what I've heard. yeayyyy!thanx 4 da info joe!!!!! ade tak pass utk showcase? ?plzz..nk satu!! Hi, i was wondering if it's okay if i copied your disclaimer part and put them in my blog too?